With Thanksgiving this week, I can officially say I am in the holiday shopping mood! I’m gearing up towards my Black Friday and Cyber Monday sales and making that wish list that includes many of my favorite beauty picks. Whether shopping for you mom, sister, best friend, or perhaps yourself (it’s OK, I take advantage of the good deals for myself too) DermStore has incredible beauty finds for skincare, hair, and makeup. 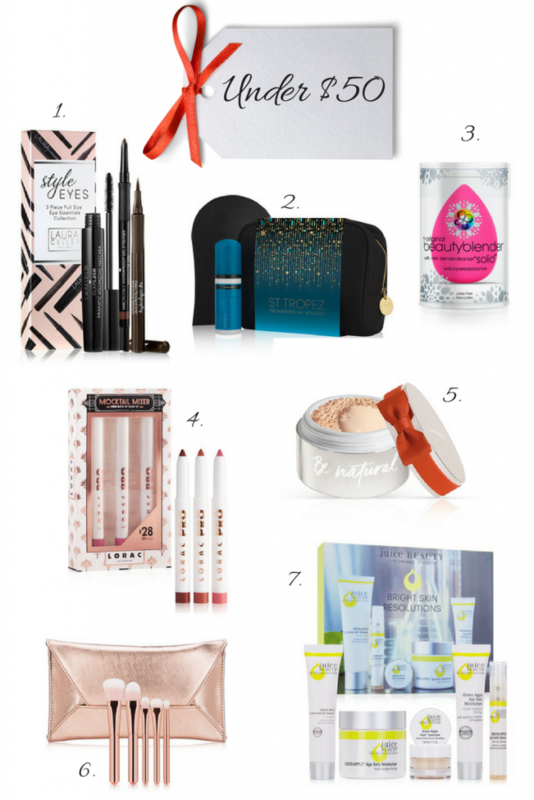 What’s more is that their Uncover Wonder #GiftableBeauty selection has gifts available for every budget. 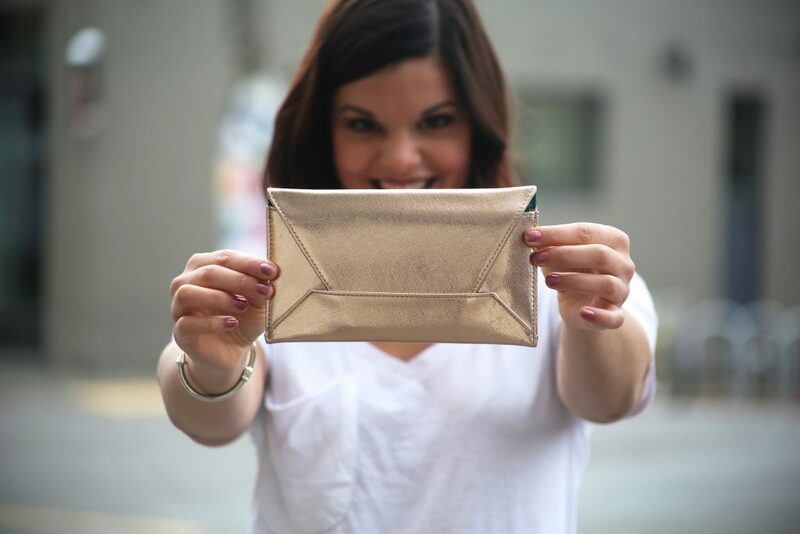 You can be sure to find something within your price range for a loved one or yourself! This is an amazing deal for three full sized eye products. I used this kit to do my eyes in this photo shoot and LOVE that you can create two different looks with two gorgeous eyeliner options. 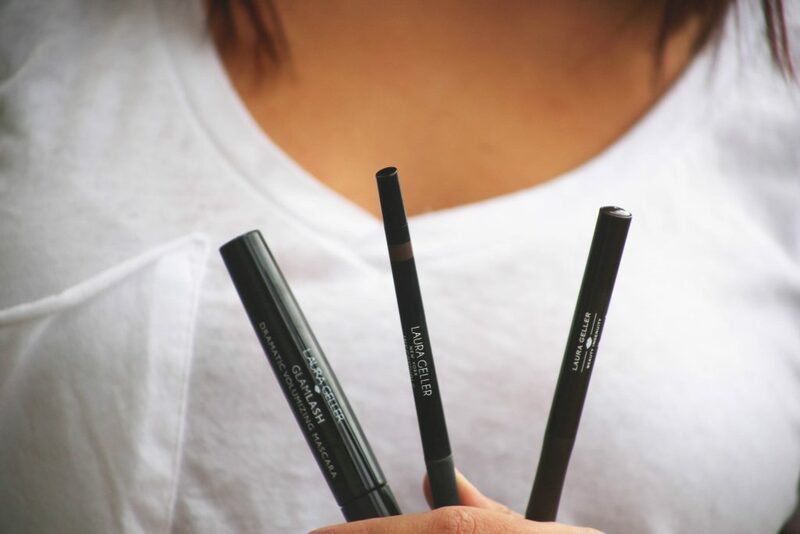 The pencil can create a softer smokey eye and the liquid liner helps perfect that bold winged look — great for your day and night time looks! (Want an even better deal? Get it 30% off on Black Friday and then 25% off throughout Cyber Weekend). If you’ve never used St. Tropez self-tanner, you’re missing out. It applies very evenly, is a beautiful bronze color and is so much healthier than tanning beds — a great way to stay tan all winter. The first time I used a beautyblender, I was SOLD. I don’t know how I ever lived without it before. 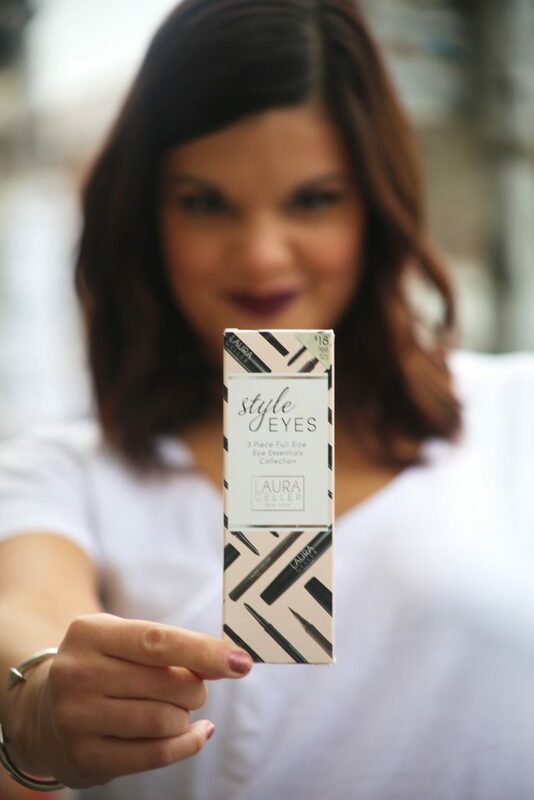 It makes my makeup look super flawless and even gives me that photo-finished look every time! Personally, matte lip colors are my favorite. This set includes three colors (can I please have them all?!) and will have any girl ready for holiday season. This is the best finishing powder I have ever used! 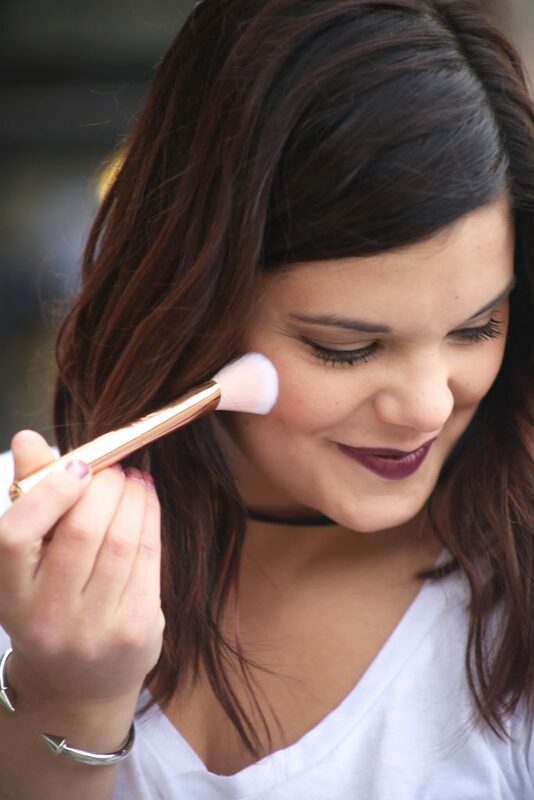 I use this daily to set my make-up and ensure that my natural, soft glow lasts all day. Every year, I always stock up on the holidays when they come out with their limited edition deluxe versions. For what you get, this kit is an amazing price. I personally have tried all of these Juice Beauty products and love how it makes my skin feel. With organic and natural ingredients, my skin is always glowing and thanking me for taking care of it! 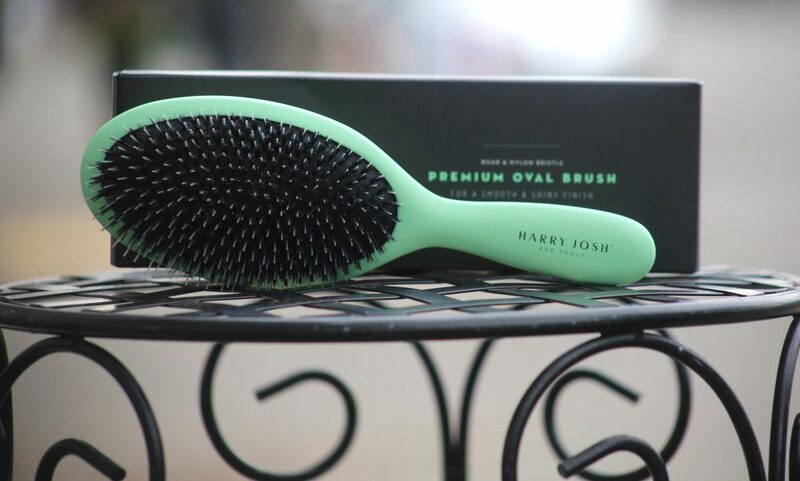 I’ve been waiting forever to get my hands on any of the professional hair tools by Harry Josh. I’ve heard amazing things about his products and wanted to see what the hype was all about. Let me just say it is worth all the hype! 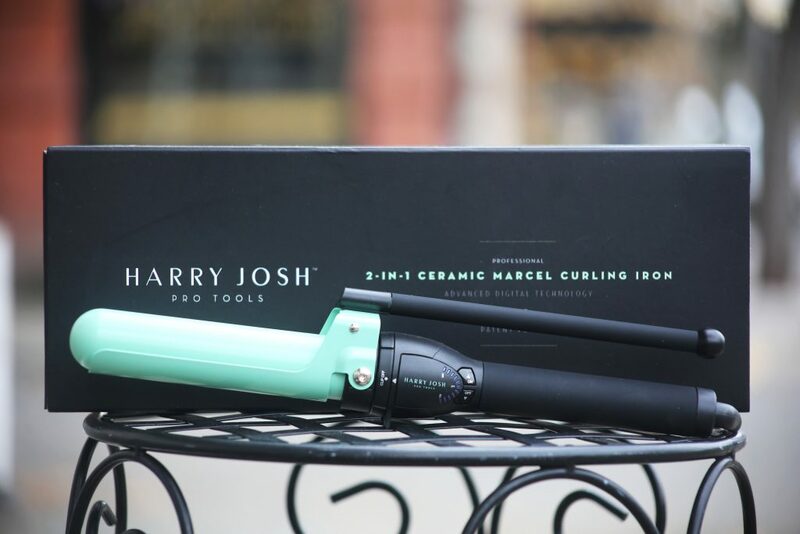 This 2-in-1 ceramic curling iron and wand comes with a detachable clip and is a dream come true for any girl who wants effortless beach waves! Not only was I able to create the perfect holiday waves (as seen in these photos today), but the amazing body that the curls created lasted through the next day. I’ve literally never styled my hair so quickly because of how fast it heated up and easily made fabulous bouncy waves. Record timing my friends! This gift set which includes a heat-resistant glove, pro styling clips, hair brush, comb, and heat-resistant travel pouch, is valued at $270, but you can get it all for $200 through DermStore right now. This works on every hair type. Finally, the Holy Grail of Christmas gifts, and for any you gals that are on the Nice list and deserving of the extra splurge, this makes the perfect gift to one’s self and will look great under the Christmas Tree! Be sure to check out more great gift options at DermStore to uncover wonder for everyone on your holiday shopping list! Or spoil yourself because we all know you deserve it! 😉 Don’t forget to take advantage of their coupon codes for even better discounts and remember, shipping is always free! Can you wait? Don’t forget to check out DermStore‘s Black Friday and Cyber Weekend sales for over 25% off! Let me know what you find and are putting on your beauty wishlist this year? *Disclosure: This post has been sponsored by DermStore. All opinions are mine alone and as promised, I always give you an honest review! Thank you for supporting brands that support Style Miss Molly! As I have been binge watching Youtube’s beauty gurus for a week and then taking screenshots of this Friday’s makeup deals all night. (Also, I made arm swatches of every shadow palate in Ulta this afternoon.) This post could not have come at a more perfect time! Thanks for the tips. Let me know if those brushes function well; they is perdy! Too pretty. Oh my goodness you have me hooked on this website now. So many options to choose from, and so many affordable choices for gifts – which is definitely something I’ve been looking for this year! Thanks for sharing all these ideas! Love these gift ideas! I haven’t tried all of these out but sounds like I should. That curling iron looks amazing! Will have to try! I hope you do! I know this is a purchase you will not regret! Worth the extra pennies! These all seem like great picks to give as gifts!! The brushes are super gorgeous love how they’re pink at the tips! Great list! Thanks for sharing – pinning for later! What unique ideas for beauty gifts in all price ranges! I especially like the rose gold brush set and the curling iron! I have always wanted to get “beach waves” and this would do the trick! Christmas is always a bit daunting when you feel like you have to spend so much money, but hopefully these ideas prove it doesn’t have to be so pricey! Thanks so much Sharon and I’m sure your girls will love them! I absolutely love the rose gold set of brushes! That is a perfect gift for anyone who loves make up! Girl you look so radiant and beautiful in these snaps! 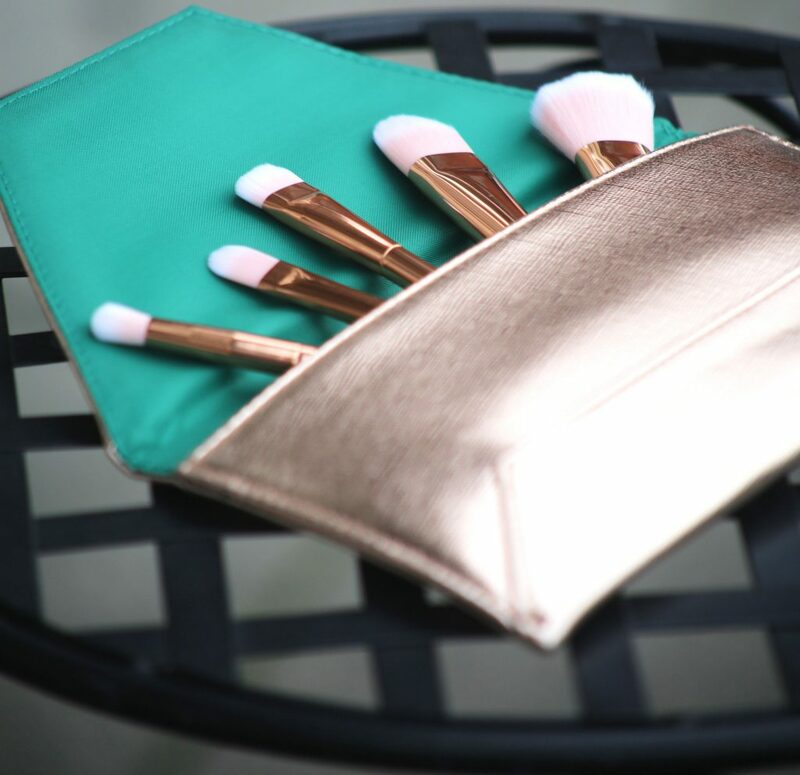 I adore that rose gold brush set and would love to receive that as a gift at Christmas time, such a great price too for the set! Thank you Hayley 🙂 The rose gold brushes are definitely a personal fave! These are all amazing gifts!!! I would love to have them all for myself! I can’t live with out my beauty blender! I will def be checking out this website for some great gift ideas! The brushes are so pretty! Would love to hear what you think if you do! 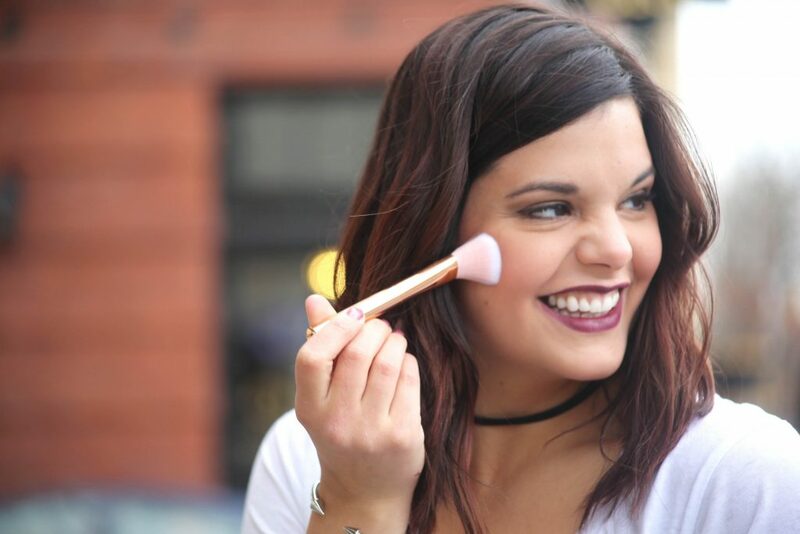 I am ALL about the makeup deals on Black Friday! I usually go HAM and buy way too much stuff, but the deals are just too good to pass up! Thanks for sharing some great ideas for gifts! Love everything you posted, definitely will check them out! so many great gifts! that curling wand looks so cute! Thanks Mary! The curling wand is more than cute. It’s magical with the waves and curls it creates! You have really good photos! Im subscribing! Thanks Jamie 🙂 Looking forward to seeing you on here more often! Seriously great gifts!!! Thanks for the ideas! No problem, glad I helped! Just wrote down some of these things! I want them! Hope you had a great thanksgiving! That’s awesome Haleigh! I hope you find some great goodies. I’d love to hear what you got! Haha, they’re just too tempting! Love all your picks. They will make for such a great gift. 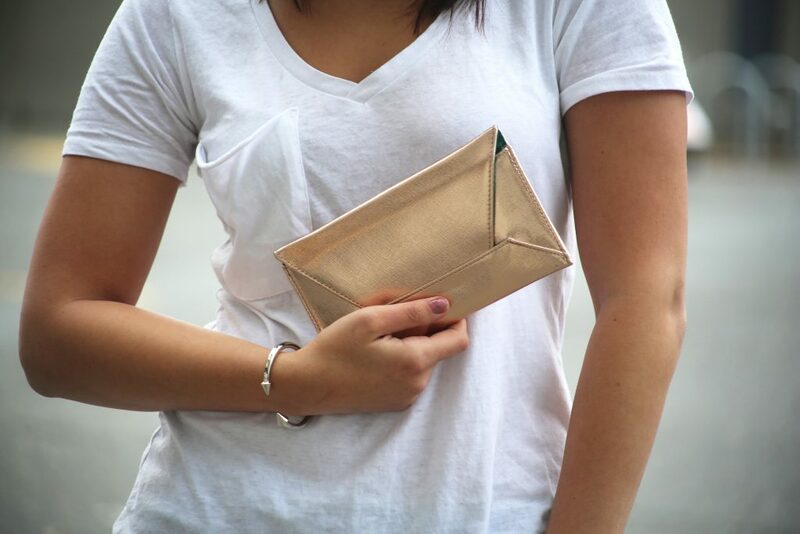 I love that cute clutch. Hope you had a great thanksgiving. These are all such great gift ideas! I’m always buying beauty blenders for mini gifts and stocking stuffers, they’re such great options!